You are going to die! This is not exactly what people want to be reminded of, but it’s in everyone’s future so there’s no point in hiding from it. Some of us may try to circumvent the Grim Reaper by renting freezer space for our heads or invest in DNA cloning to create a new healthy body. Death is one of the greatest ironies in human thinking. Almost everyone (through various interpretations) believes they possess an infinite divine spirit within them. If the spirit in you lives forever; then what’s the big “fear” of death for? If you are, as in certain religions, going to meet your creator and live in peace forever in the heavens, why wait? There is a very simple answer; people don’t fear death as much as they do losing their individuality. Your name and physical appearance do not define who you are inside. In Vandanta Philosophy it is called “Nama-Rupa” or “Name Form”. Esoteric philosophy believes that the manifestation of the physical body is the vehicle for the spirit so the spiritual energy (the soul) uses conscious existence to further its development. Think of the body as a car. We use the car to get from point A to point B. In a sense we are a part of the car, the conscious entity inside it. However, we are not a part of the car itself. When the body’s cycle comes to term; the spiritual energy returns to its cosmic origins until a new manifestation is provided. Just like when driving, and we arrive at our destination, we remove our selves from the car. Did we just touch on the concept of reincarnation? First let’s properly define the idea of a “lifecycle”. Humanity considers the term “lifecycle” to mean birth, life, and death. However, given what we believe of possessing an infinite spirit (actually we are that infinite spirit) a more accurate description for a lifecycle should be birth, life, and rebirth? The word “cycle” does not imply a beginning and end point but rather an aggregate of a cosmic revolution. That brings us back once again to reincarnation. The difficulty explaining reincarnation is trying to incorporate personal identity, which is the most sacred thing to humanity. Spiritual philosophy says we should be completely open so we can truly be free. The only way to achieve this divine feeling of freedom is to give up being an individual. This is why some people don’t practice religion with a 100% commitment because dogmatic doctrine instructs them to achieve something they cannot. I can only be open to a limited degree because I am an individual. That singular perspective is a characteristic trait called self preservation. It is the essence of human nature. To embrace being an infinite spiritual energy; you need to accept you are what is inside the physical body and not what you see in the mirror everyday. If we are part of a divine cosmic plan, then everything we experience has a purpose. We cannot experience joy without understanding misery. We cannot experience love without experiencing solitude. So what’s the point? We live, we experience, we die, we get reincarnated, but we don’t remember anything about ourselves from the previous incarnation. Religion offers insight but not definitive answers. Some have shared near death experiences and some believe/some don’t. To allay our fears we create anthropomorphic deities and paint a pleasant picture of the “afterlife” so we can live comfortably in our ignorance. Dogma reinforces that ignorance so we don’t have to seek out the answers for our selves. This is not living, but rather existing and that is not what we are here for. So what is the purpose? Only you can answer that question for yourself. We may share the same planet but as individuals we are aggregate parts of an infinite universe. Each day presents us with individual challenges. Like pieces of a vast machine we all have our task. We are not knowledgeable enough yet to see the bigger picture; that is why everyday we have a conscious ability to learn and grow we need to seize that opportunity. We learn in life as the years go by the benefit of knowledge. The more we understand things, the better use we can make of them and even come to appreciate them. As a child, those “first’s” we accomplish in life such as walking, talking, thinking, and so on seems simplistic to us now as an adult. We had to meet each challenge and move past it so we could be prepared for our next stage in life. Our inner spirit works much the same way. We are alive so our soul can learn and prepare for the next stage in its existence (our existence). Whatever lies ahead after the physical body dies will require our lifetime(s) of wisdom so we can move on to the next stage in our journey. It’s an exciting and terrifying prospect at the same time but it is going to happen so living in fear or blindness to that fact is futile. If we exist for a purpose, then we must maximize the time we are given. No one book has the answer nor does one opinion rein supreme. The definitive answers to our individual spirit are within our individual spirit. 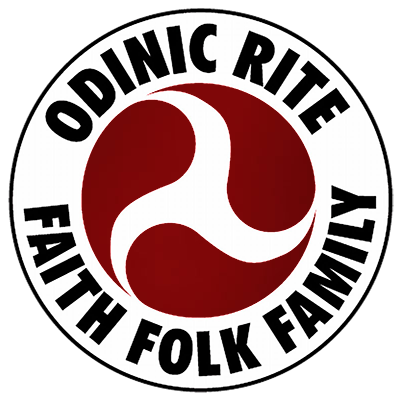 In Odinic wisdom it is part of their individual code “To seek ever to expand your mind, never stagnate, for knowledge is a gift from the gods.” For over 1000 years that advice is equally profound and necessary today as it was back then. Truth, like the spirit, is everlasting.